Last edited by Blokheds; 01-18-2015 at 07:25 PM. Dido. Screw the challenge. If you want a real alaska challenge, build a real rig and get up here and explore. Use the forum to set up your trip and have fun. Howdy everyone. My name's Billy, and I drive an '86 4Runner which goes by the name of "Penelope." Here how it looks right now. I just went from a 29" MT to a 32" studded snow tire and **** son. Really liking the larger wheels, it just feels a lot better. And for the summers I use an fj40 bikini top. I've got a diff drop lift with new UCAs that I plan on installing this summer once i get larger summer tires (not sure if I want a 33" or 35"). 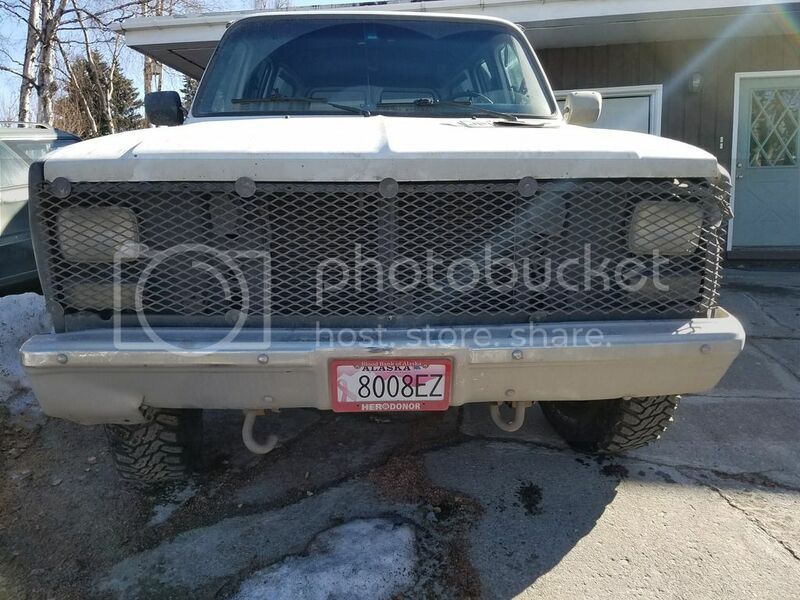 I also need to figure out what to do with the rear end whether I want to go ahead and do the chevy springs or just do a little shackle/blocks first just to level it with the front. 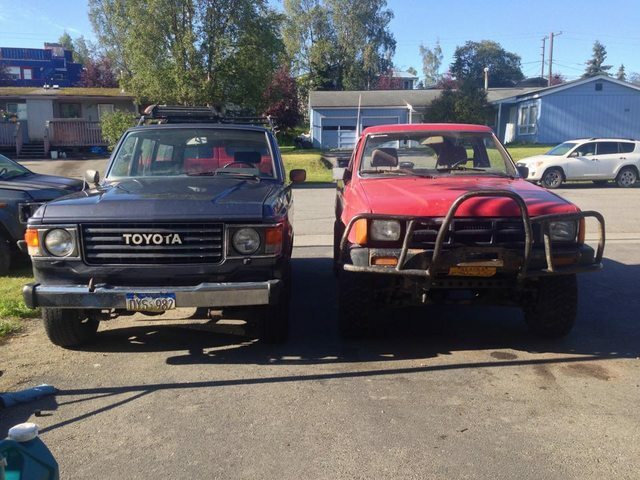 Also, uh, I picked up 2 Fj60s from Valdez last fall. A runner and a parts rig. 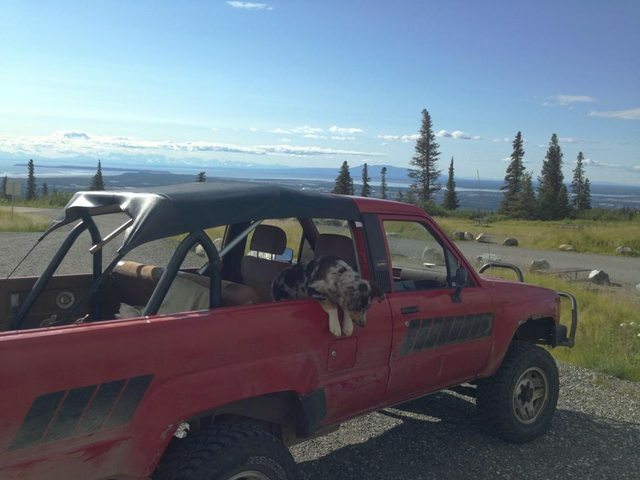 Anyways, before I moved up to AK 2 years ago I drove a 1982 Honda Nighthawk 750 and a 1992 Buick Century. These are my first 4x4s lol. Pleasure to meet everyone. 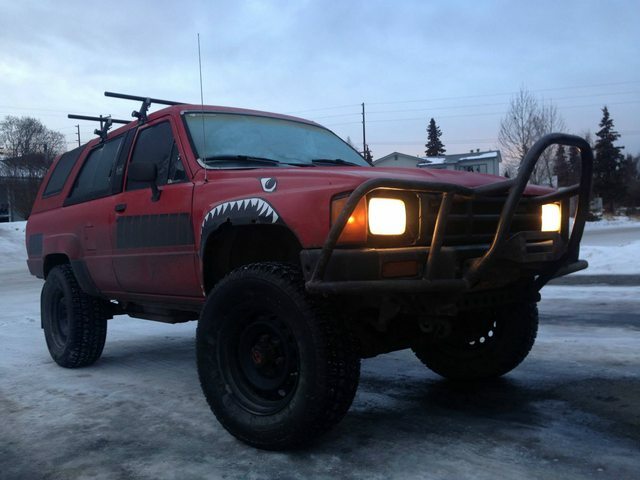 Hi my names Marcel I'm new here and to the truck off road word I do go fourweeling almost every weekend but I just recently got a 92 jeep Cherokee XJ that I want to turn into a off road rig\ daily driver.i also have an 84 suburban with a small lift and on 33s with an oversized cam for torque it's really just my camping rig. Um, I really don't know what else to write about so hope to make many friends on here. Last edited by wasillashack; 11-17-2015 at 10:56 PM. Reason: correction, fixed it for you, Marcel. My name is Micah. 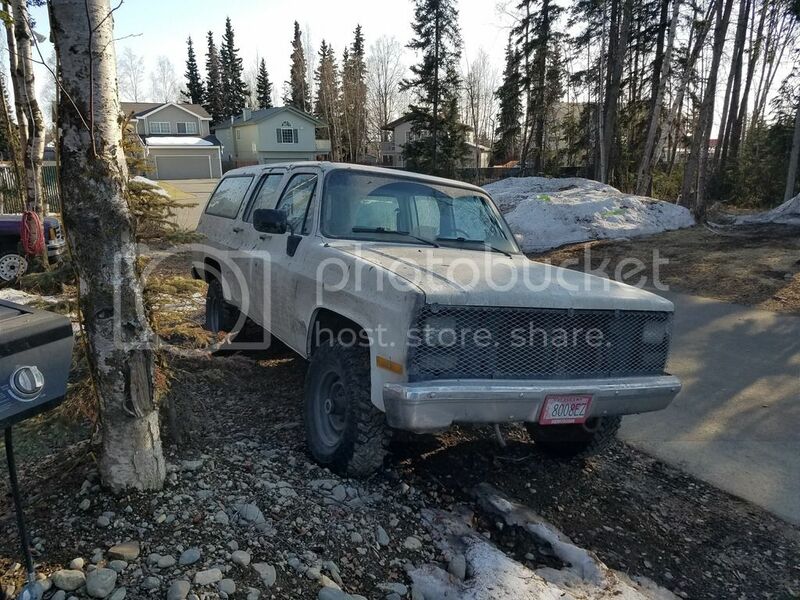 I'm located in Fairbanks and drive a 1984 Jeep CJ7. I need some drive train and suspension work done, so if anyone knows someone in the area, let me know. Last edited by facepilownap; 10-15-2016 at 11:43 AM. Hey guys. My name is Kevin. Born and raised here in Anchorage. I am a recovering addict, my clean date is September 13, 2014. I am currently a student at UAA's Community Technical College, working towards a Bachelors degree in Automotive. 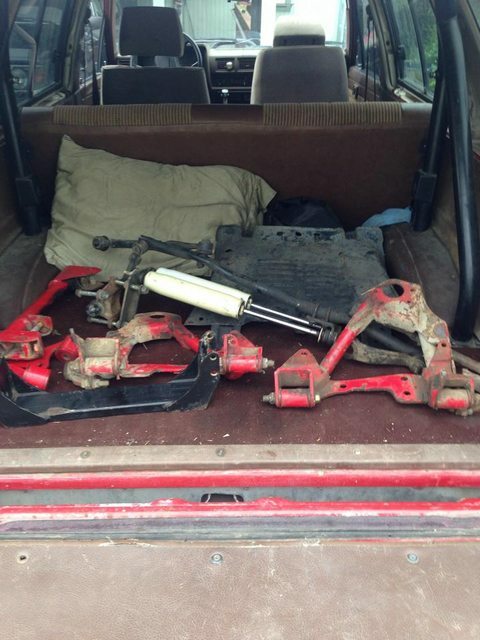 Build a ******* pack leaf spring to beef the front end for a plow. Boss plow mount for the front. Oh, and a CB radio. 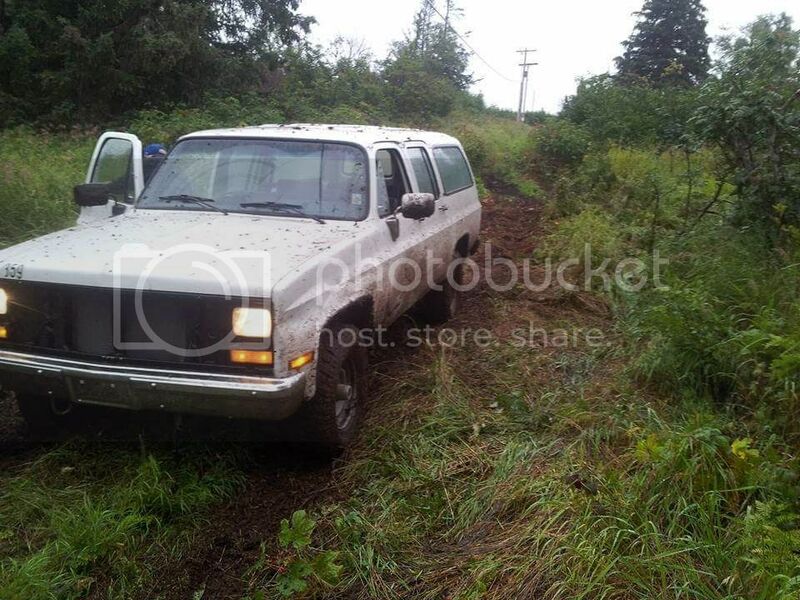 I look forward to meeting and wheeling with all of you.
. humble owner of a 2000 Ford Expedition and a 1993 Nissan Pathfinder. 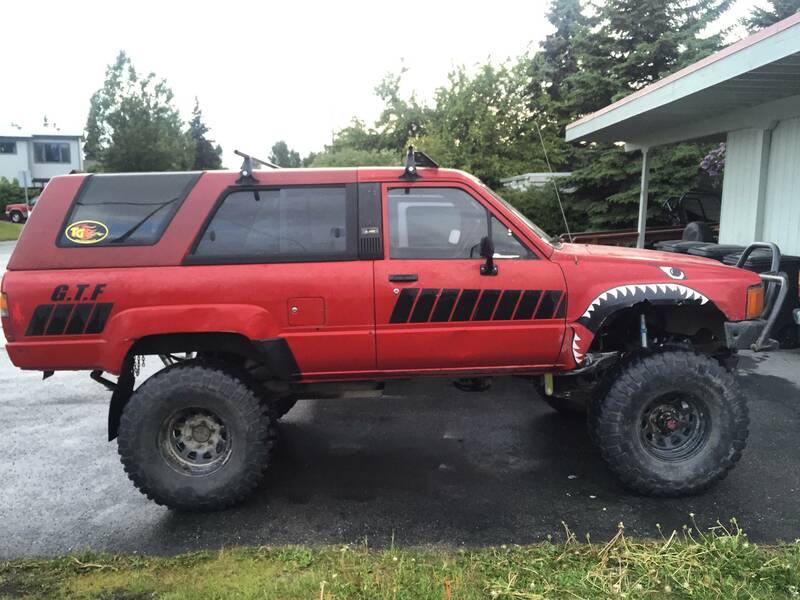 I remember the early 80s when you could bomb around Kinkaid Park in an old beat up Subaru, or cruise part of the Anchorage coast with a 4x4, but have never been behind the wheel of any off road madness myself. New here, and don't do this internet thing much. Series Land Rovers for decades for offroad farm. Don't have time for recreational 4x4 stuff, but will retire in a couple years. 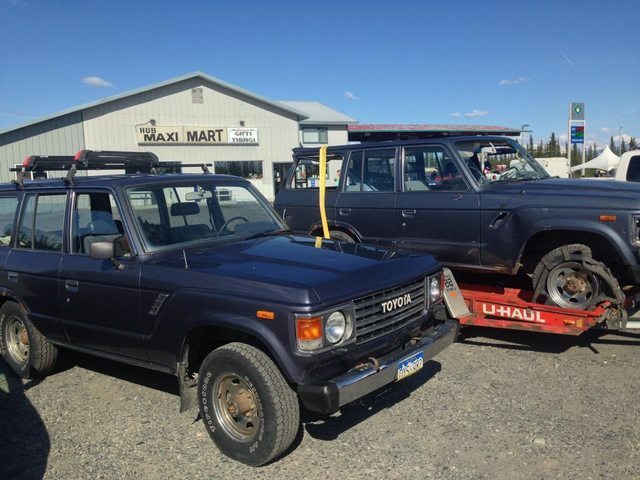 Have 8 series Land Rovers in various states of disrepair, and will be fixing/restoring as money allows once retired. Looking to connect with Series owners to trade/buy/sell and talk Rover stuff. If you are a Rover drover you probably know Ed Angel, Steadfast Off Road. Welcome to AK4x4!